Finally the project I have been working on since spring 2018 is finished! 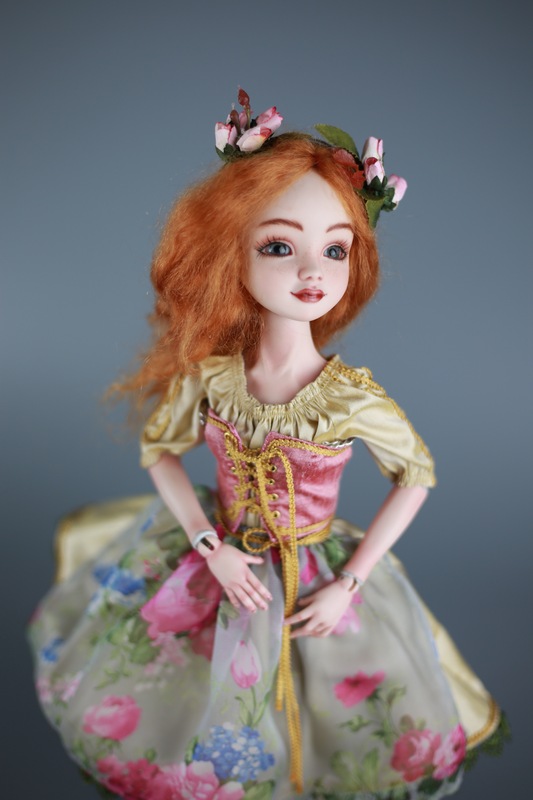 Two commissioned porcelain ball jointed dolls with portrait likeness for a customer in France. They arrived safely to their new home and met their owner. I was very nervous, as I always am , if I answered the expectations of the customer. But I had no reasons to be worried. My dear customer was overwhelmed and truly pleased with the result! I think I repeat me, but once again, how beautiful, spruce, elegant they are..
You’ve got in your hands a real and pure talent. I thank you so much for your patient work. I’m very happy of our collaboration, and I was very lucky to find you. 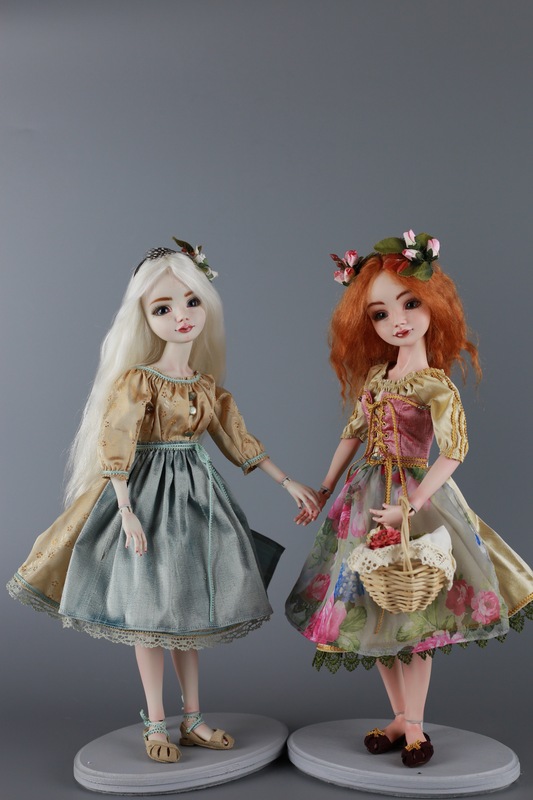 I was thinking of the dolls for my wife for several years, and never found someone who could help me. Then I saw your dolls!.. You are an amazing artist and a wonderful person!…. Such words make an artist in me fly! It is truly satisfying after months of work to achieve the result that makes other people sooo happy! LISA is not a new girl. 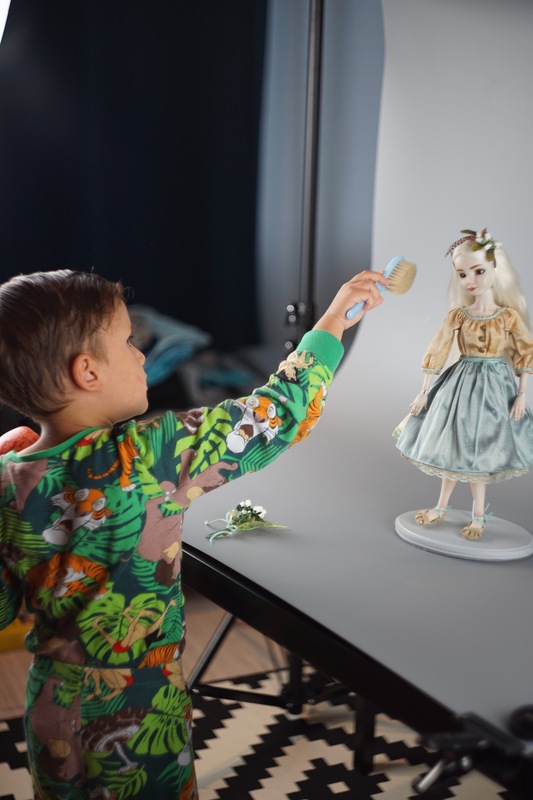 I made her in 2016 and she brought me a special prize of Max-Oscar-Arnold Art Award in Modern Doll Art by city of Coburg in Germany. I decided to give her a new outfit and a new wig, and this is exactly the case when a new hair color changes the girl for the better, in my opinion. The new outfit I gave her is made of my favorite wild silk. The tutu-rock is made of dozens of real silk flower petals colored and shaped in the form using millinery instruments by me. Her hair band is a very special mini version of the silk flower deco band of the real-human-size, made also by me. I think all these changes made LISA shine brighter and made her like a little rose flower, tender, but knowing her beauty! 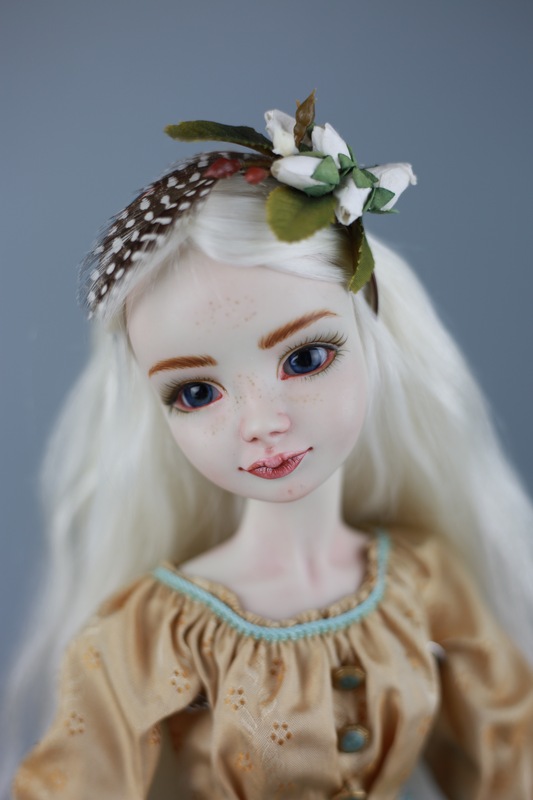 Shortly before Exhibition in Moscow in March, I was able to finish a new porcelain bjd doll. I called her Belle. Her body is like a warm caramel. Super silky to the touch. The clothes are made from real wild silk and decorated with silk mini flowers made by me using the millinery technique for flowers of “human-size”. 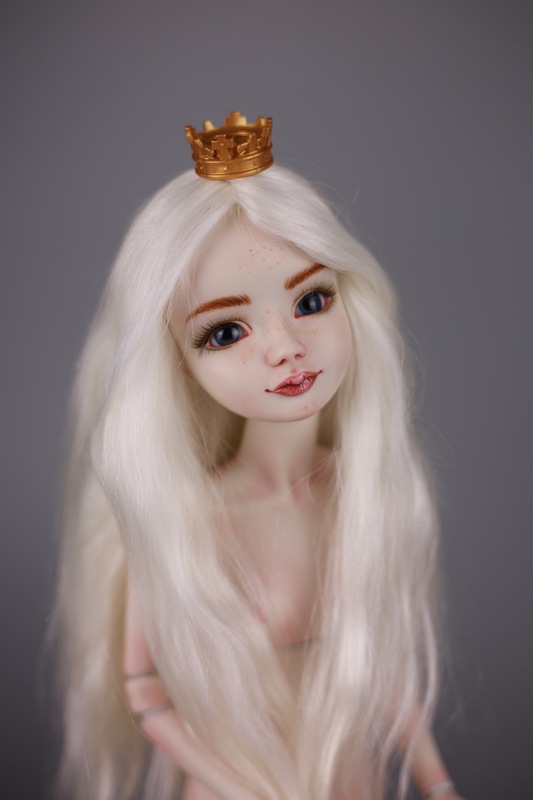 The doll has two wigs: one is long blond straight style made of Goat Hair and super soft. 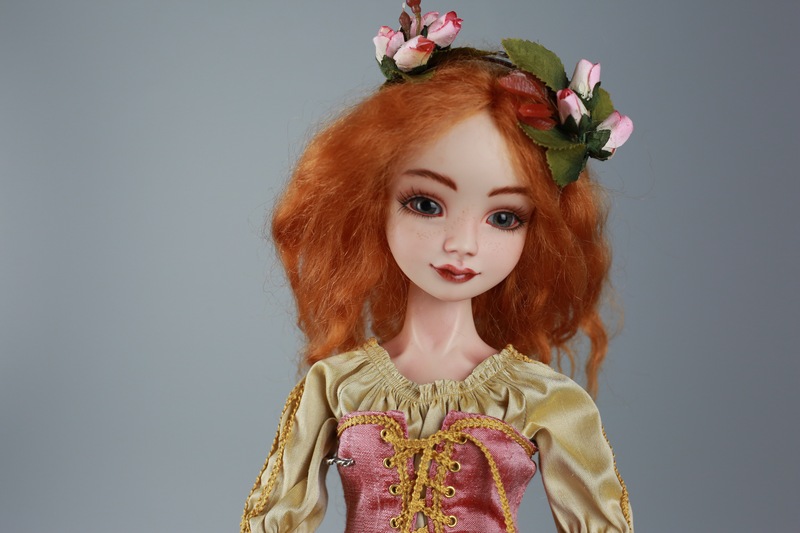 The other wig is made of Mohair hair and is curly. Shortly before my dear Alice found a new home in France, I was able to make some photo shooting of her inspired by her magical adventures in Wonderland. And of course, I would not manage without my little helper!